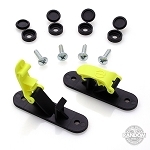 Random Heli's T-Track adjustable mounting system lets you reposition your models quickly and easily. 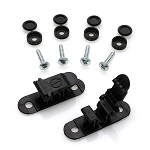 Skid Clamps are fastened to the T-Track using (knurled head thumbscrews and track nuts). 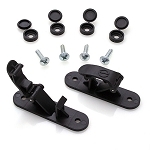 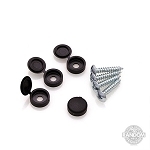 T-Tracks can be mounted to wood, plastic, or sheet metal using the included mounting screws. 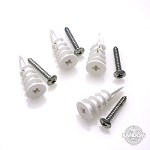 Anchors for mounting on masonry or hollow walls are available separately. 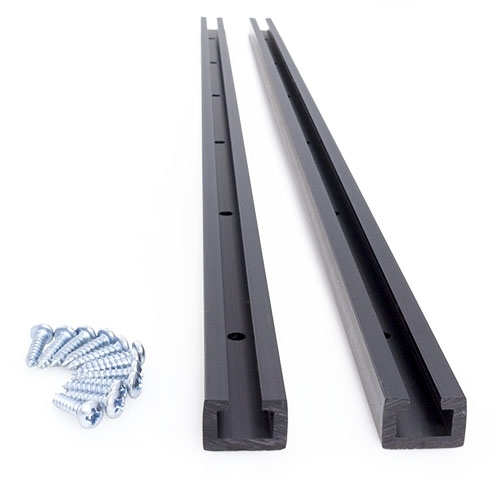 2 pieces 24" long T-Track. Black rigid PVC. 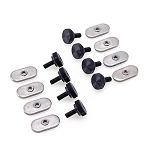 Mounting holes drilled 4" O.C. 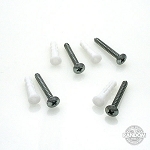 12 1/2" x 6 Philips Pan Head sheet metal screws for use in wood, plastic and sheet metal.